One of my old school late night hangouts is the Philadelphia Sandwich Company. Back in the day when I used to hang out in Scottsdale, I would hit this little place to satisfy my late night food cravings. It’s open 24 hrs and situated right off of Scottsdale Rd. The cheese steaks are huge and served hot right off the grill. But the thing that makes them so good is one key ingredient – cheese whiz! Mixed in with grilled onions, the cheese whiz makes this yummy greasy sandwich so tasty after a few too many drinks. I took Jake here after the Chandler/Hamilton football game so he could experience hanging out at one of my old stomping grounds. 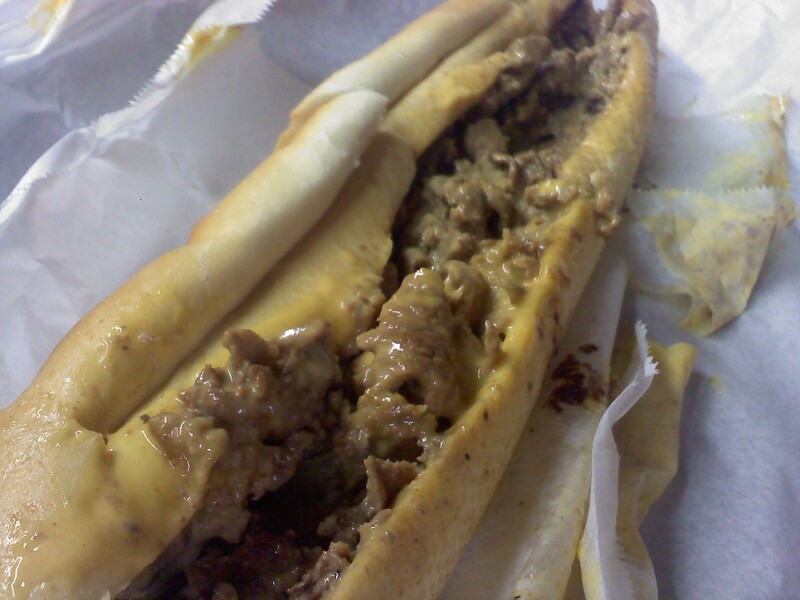 This entry was posted in American Food and tagged 24 hrs, cheese steak, cheese whiz, late night, onions, Philadelphia, Philadelphia Sandwich Company, Scottsdale, Urbanspoon by ttimmons. Bookmark the permalink.